A seasoned IT Professional/Consultant, with additional flair of Info. 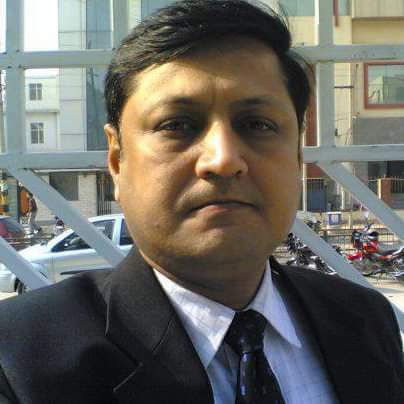 Security, as a Certified BS7799 Internal Auditor, possessing 21+ years’ of rich industry experience in working with leading Multinationals in the Core I.T, Satellite Comm./Telecom, Reputed BPO/KPO and ITeS organizations alongwith Info-Sec (Information Security) domains. ∙ Accomplished Executive, Managerial & Leadership / Sr. Management assignments in managing large and complex Multi-Geographical IT Infrastructure in reputed BPO / KPO & ITeS domains in delivering turnkey solutions to Government, Large Corporate & International clients. ∙ Pro-active and innovative in approach with P&L & Budget Governance / administration, ROI management, strong Project Management skills, Policy / methodology Management, Pre-Sales with Business Process, Risk, Compliance SLA & Delivery Management, end-to–end Data-Centre management, Cloud based IT Infrastructure management, Client, Vendor, Commercials & Procurement Management. Optimal Team management & Hiring. Interact with stake holders, work as a Visionary and Guide for all Futuristic & Strategic Roadmaps of Business.